22 LISTS Let's Hear It for the GirlsFun facts, fascinating trivia, and crazy stories about some of your favorite ladies behind the microphone. Think you know everything there is to know about your English power house singer? Well it's time to put your knowledge to the test because Adele trivia is here! The Adele wiki is full of everything from funny quotes and random facts, to some honest moments about hangovers and motherhood. And that time Adele nearly ran Sean Combs down with a golf cart. Who is the real Adele? She doesn’t care what Karl Lagerfeld thinks of her. She certainly didn’t mind appearing on the cover of Rolling Stone as a mere mortal, she dressed up as George Michael for her 27th birthday. Adele cackles, gawks at celebrities, is frightened by fame, and still thinks someone’s going to yank it all away and take her back to Tottenham. It's not going to happen, luv. The Adele biography includes precious reflections on her son Angelo, including the fact that she gave up smoking for him. And for all the Adele history out there, you probably didn't know that she charges her fans money to meet with her (which she then donates to charity). Which Adele stories are your favorite? Vote them up and let your voice be heard. Is there something from Adele’s life you want to share, add it to the list! She’s won 86 awards and received 168 nominations, including an Oscar, 10 Grammys, one Golden Globe, two Glamour women of the Year Awards, 13 Billboard Music Awards, a BT Digital Music Award, and four American Music Awards. All she needs is an Emmy and a Tony and she'll have that EGOT! You must donate at least $20 to SANDS if you want to meet Adele backstage. She’s raised thousands of dollars for the charity this way. 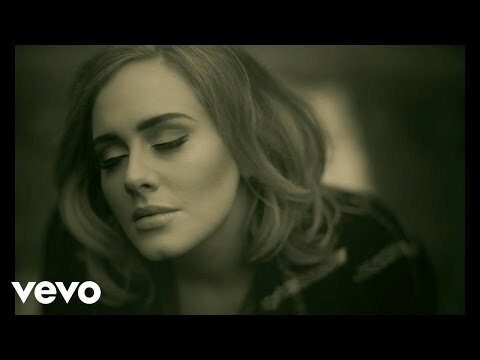 Hitting 50 million views in its first 48 hours online, “Hello” was the biggest music video debut in 2015. To stave off extreme nerves before performing, she created a persona to help her cope. She slips into her alter ego Sasha Carter to perform, an homage to both Beyonce and June Carter Cash. "I was about to meet Beyonce," she told Rolling Stone. "I had a full-blown panic attack. Then she popped in looking gorgeous and said, 'You're amazing!'. When I listen to you I feel like I'm listening to God'. I went out on the balcony crying hysterically, and I said, 'What would Sasha Fierce [Beyonce's alter-ego] do?' That's when Sasha Carter was born."